Vinyl records may seem like a thing of the past, but they're becoming more and more popular with millennials. It’s no secret that vinyl records have been making a comeback. The number of records sold increased for the 12th consecutive year, reaching a record high of 14.32 million, according to Nielsen Music’s 2017 U.S. Music Year-End Report.That’s 14 percent of total music sales in 2017, which is up three percent since 2016. Some might think this trend is the result of baby boomers dusting off and expanding their collections for nostalgia’s sake, but that isn’t necessarily true. Statistics show that millennials can’t get enough of vinyl records. 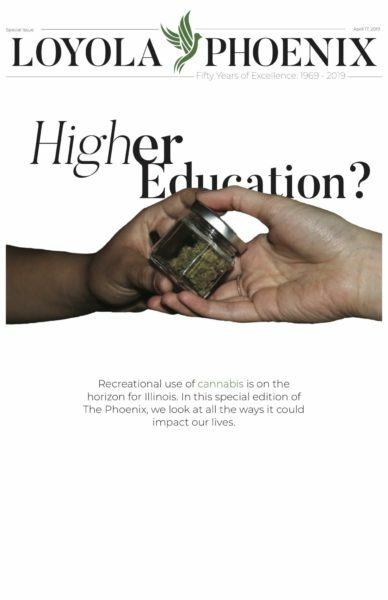 In August 2017, Fortune Magazine reported that nearly 50 percent of record buyers are under the age of 30. Chances are, then, that a number of Loyola students might house a turntable. What’s the appeal, though? Records get scratched and damaged. They sometimes skip. Listeners can’t fast-forward through a song they don’t like or seamlessly transition from one artist to another with the swipe of a finger. On the surface, it seems like vinyl could be a tragically outdated piece of technology modern music lovers could scoff at. And yet, record stores remain open. Modern bands release new albums on vinyl. Sales of vinyl records continue to creep closer to $1 billion each year, according to Fortune, aided in part by monthly record subscription clubs such as Vinyl Me, Please and VNYL. Here’s four reasons why every music-loving college student should start a record collection. Vinyl enthusiasts use this reason as one of their biggest arguments for the superiority of analog records. While this may sound sketchy, it can be scientifically proven, according to HowStuffWorks.com. Sound is produced by vibrations that create waves in a medium such as air or a cable. When a sound is digitally recorded, the waves need to be converted and reformatted a number of times before they can be replayed. As a result, only parts of the original analog sound waves are captured by the digital recording. This isn’t the case with vinyl records. When sound is recorded onto a vinyl disc, it goes from one analog medium to another without any digital interference. This means the entire sound wave is captured in the grooves of a record and can be replayed through a speaker without needing to be digitally reformatted. A needle is gently run over the grooves and the vibrations created are electronically amplified, but not modified, producing a purer, much more accurate reconstruction of the original sound. So scientifically, vinyl records can sound better than CDs or MP3 files. College students like to save money, and with good reason. Owning a record player might seem too expensive for the average cash-strapped student, but as vinyl becomes more popular, the cost of a decent turntable decreases. Amazon has more than 20 record players listed for under $50, and more than 100 under $100. Some even have modern features, such as USB ports and Bluetooth connectivity. All five of the 2018 Grammy nominees for Album of the Year have been pressed on vinyl. 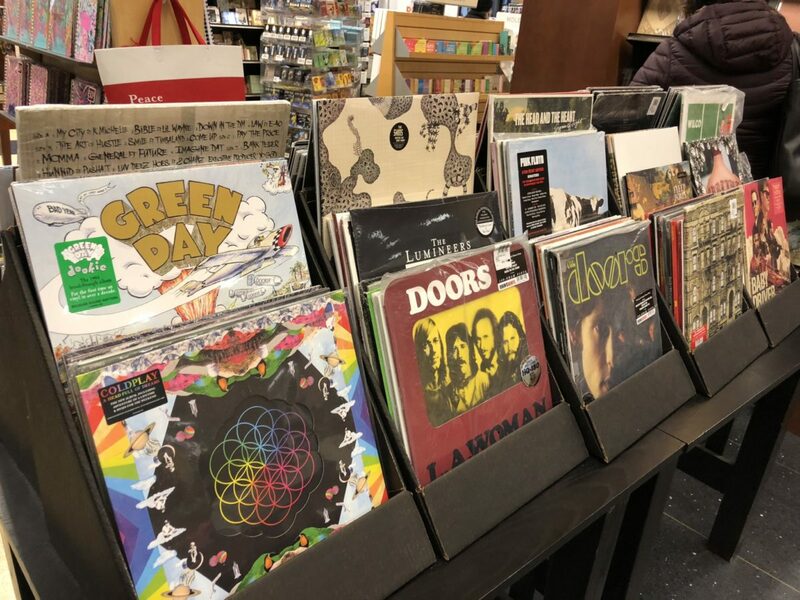 Additionally, all five nominees for Best New Artist have put out vinyl versions of their debut albums, which can be found online and in outlet stores such as Barnes and Noble and Urban Outfitters. This shows artists such as Lorde, Kendrick Lamar and Jay-Z recognize the value analog records still have today. Ed Sheeran’s hit single, “The Shape of You,” is Spotify’s most streamed song ever, and the fact that it’s available on vinyl demonstrates how students don’t need to be fans of classic rock to start a record collection. For the student that does like classic rock, building a vast library of vintage vinyl is relatively cheap and easy, especially in a big city like Chicago. The city is home to at least 25 record stores, the most popular being the three-store Reckless Records chain. Reckless Records, which has one location near the Belmont Red Line stop, prices its vintage albums based on rarity, age and condition, ranging from “fair” to “mint.” Depending on the artist, it’s possible to find a record from the mid-1970s in “very good” condition for around $5. Fans of artists such as Elton John, Journey and The Who won’t have much trouble building a solid record collection on a budget. Even in the age of Spotify and iHeart Radio, vinyl records remain in demand and continue to be released. Fans of music who want to listen to their favorite song the way it’s intended to be heard, in the best quality possible, would be remiss to not consider starting a record collection.